Playing poker not only can be fun, it can provide a learning opportunity. 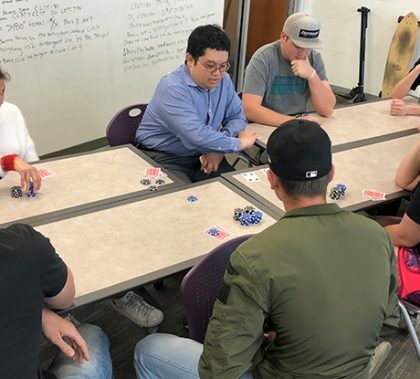 And the bonus lesson for GCU math students amid their semi-annual Poker Day was seeing their instructors in a different environment. 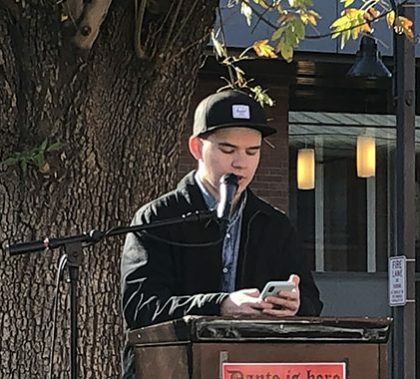 “It is fun to see the professor as a person instead of a teacher,’’ said Computer Science major Jeremy Mog. 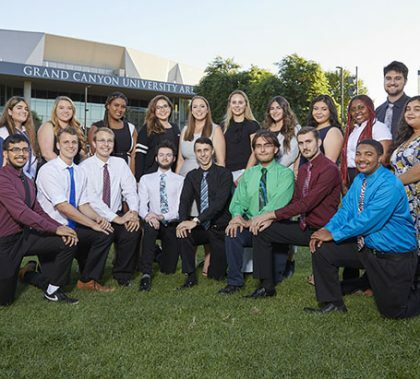 Memorization drills, current events quizzes, mock debates and daily reading throughout the summer boosted Grand Canyon University’s Matthew Calderwood and Grace Laidlaw to a 10th-place finish in the Georgia B. Bowman Invitational last weekend at William Jewell College in Liberty, Mo. The pair argued successfully about drone use and germ modification.